China Has Lost Control of a Space Station. Here's Why You Shouldn't Worry. Tiangong-1 will make an uncontrolled return to Earth in March, but you probably won't be struck by falling debris. We’ve known for some time that the Chinese space station Tiangong-1 is set to crash to Earth. The impact is expected to take place in mid-March 2018, plus or minus two weeks, but it’s really nothing to worry about. Tiangong-1, China’s first crewed space station, was launched in 2011 and was intended to remain in use for two years. However, its lifespan actually ended up being extended for a further two years – and in September 2016, officials announced that they had lost control of it. It’s normal for stations and other similar hardware to have a limited lifespan, but there’s usually a plan in place regarding how to dispose of the debris safely. For instance, surplus fuel might be used to maneuver into a preferred landing zone, or another craft might be sent to nudge it in the desired direction. This isn’t the case when it comes to Tiangong-1. The station is set to make an uncontrolled re-entry, but it is being monitored. The United States Space Surveillance Network and other similar agencies are keeping an eye on where it’s set to drop. Research indicates that only 10 to 40 percent of a spacecraft’s mass will be able to survive re-entry. However, Tiangong-1 weighs in at some 8,506 kilograms (18,753 lbs), which means that between 850 to 3400 kilograms (1,873 to 7,495 lbs) could strike the Earth. Even so, the threat of being hit by falling debris is slim. According to The Verge, there’s a 1 in 10,000 chance that the falling junk will hit any person or property, mostly because the station will break into ever-smaller pieces as it falls. Remarkably, in the five decades that we’ve been sending satellites and spacecraft into orbit, there has been only one case of a person being struck by falling space debris– and it was a fairly minor graze to a woman named Lottie Williams’ shoulder. A 13,600 kilogram (30,000 lb) Russian craft headed for Mars called Phobos-Grunt fell to Earth without incident in 2012. 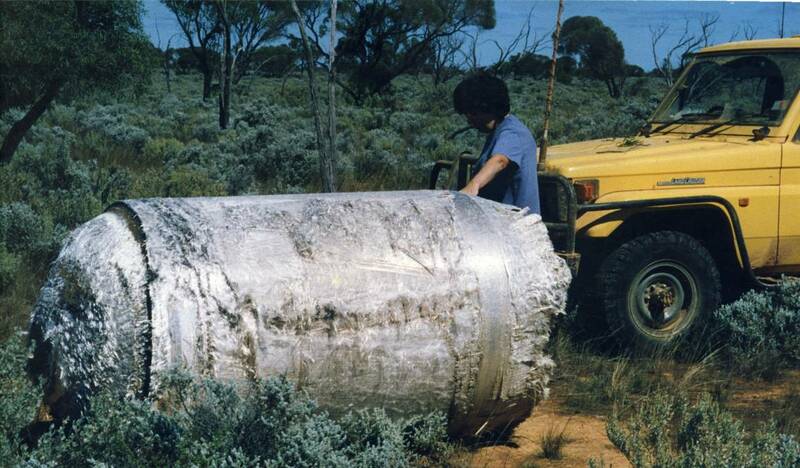 NASA’s retired 72,500 kilogram (160,000 lb) Skylab made an uncontrolled re-entry over southwestern Australia in 1972, but while pieces were found, there were no reports of major injuries. And in January 1978, a Soviet satellite that malfunctioned crashed to earth over northern Canada, unexpectedly breaking into pieces – rather than burning up, as it was expected to – and scattering radioactive uranium-235 over the Northwest Territories. Though an extensive cleanup was required, no humans or animals appear to have been harmed by the crash, and concerns that something similar could happen over a more populated area actually led to new considerations about satellite safety in space. Similarly, the return of Tiangong-1 will help us prepare for the next time such a craft returns to earth. A group known as the Inter-Agency Space Debris Coordination Committee (IADC) will track its re-entry, using the data to improve upon current prediction models. Featuring experts from 13 international space organizations, this IADC effort will pool and cross-verify participating agencies’ predictions of the re-entry window, allowing them to make their re-entry models more accurate.